The Los Angeles Staples Center is the premier concert venue in Los Angeles with a capacity of up to 19,000 concert fans being able to attend their favorite show or artist playing the venue. Since the Staples Center opening in October 1999 the Staples Center hosts over 250 concert, sports, and theatrical events a year bringing over 4 million fans to the venue each year. The Staples Center is also the only place in the United States that currently is home to two NBA teams. The Staples Center had also hosted over 850 concerts since the first show in 1999 when Bruce Springsteen made a stop there on his “Reunion Tour” on October 17th, 1999. Since opening its doors to Los Angeles concert goers in 1999 here is a list of the Top 20 Staples Center Artists Appearances to date. Taylor Swift has performed at the Staples Center 25 times. Starting on August 21st 2007 and performing “Teardrops on My Guitar” she has also played the 2009 Grammy Awards. Taylor Swift also played the Staples Center during her “Speak Now World Tour, “Fearless Tour”, “The Red Tour”, KIIS FM Jingle Ball concert as well as five nights at the Staples Center during her “The 1989 World Tour”. U2 has performed at the Staples Center 13 times. U2 first played the Staples Center during the 43rd annual Grammy Awards on February 21st 2001. In 2001 there was four stops at the Staples Center during their Elevation concert tour. U2 also played the Staples Center during their Vertigo tour in 2005. On February 8th U2 played the Grammy awards during their No Line On The Horizon Promo Tour. 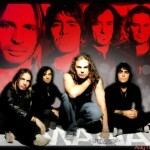 Mana has performed at the Staples Center 13 times with their first time being in 2007 with four concerts September 20th, 21st, 22nd and 23rd. Mana also made appearances at the Los Angeles Staples center four times in 2011, three times in 2012 and twice in 2015 during their Cama Incendiada Tour. Number 4 of the top 10 Staples Center Artists Appearances is Lady Gaga. Lady Gaga first played at the Staples Center on October 8th, 2008 during the New Kids on the Block Live tour. Her Staples Center setlist included Haus, Beautiful Dirty, Pop Ate My Heart and Paparazzi. Lady Gaga returned to the Staples Center three times in 2010 as well as three times in 2011. In 2013 Lady Gaga had two concerts at the Staples Center. Lady Gaga stopped at the Staples Center for two concerts in 2014 during her “ArtRave: The ARTPOP Ball Tour“. Number 5 of the top 10 Staples Center Artists Appearances is Justin Timberlake. Justin Timberlake stopped at the Staples Center three times in 2003 during his “Stripped/Justified” concert tour playing June 16th, 17th and 20th. Justin made one more stop for the “Stripped/Justified tour on February 8th, 2004. In 2007 Justin made five appearances at the Staples Center. On February 11th Justin Timberlake performed “What Goes Around, Comes Around,” Ain’t No Sunshine and My Love at the 49th Grammy Awards. Justin also made four stops at the Staples Center in 2007 during his “FutureSex/Love Show on January 16th. He also played on September 16th, 17th, and 19th. In 2008 Justin played the Staples Center on Jan 8th, 2008. In 2013 Justin played the 55th Grammy Awards at the Staples Center performing Suit & Tie as well as Pusher Love Girl. On November 26th, 2013 he made his first concert tour stop during his The 20/20 Experience World Tour on November 26th, 2013. Justin Timberlake Staples Center concert on August 12th 2014 was during his 20/20 experience world tour. Number 6 of the top 10 Staples Center Artists Appearances is Beyonce. Number 7 of the top 10 Staples Center Artists Appearances is Madonna. Number 8 of the top 10 Staples Center Artists Appearances is Keith Urban. Keith Urban chose the Staples Center as his Los Angeles stop. In 2009 Keith Urban performed twice at the Staples Center once during the 51st Grammy Awards singing Bo Diddley and Let’s Stay Together then again during his Escape Together World Tour 2009. On January 29th, 2010 Keith played “Rockin in the Free World” at the Staples Center. Keith Urban made three stops at the Staples Center in Los Angeles with the first one being the 53rd Grammy Awards playing “Jolene” then on February 15th, 2011 and the last stop on October 8th, 2011 during his “Get Closer 2011 World Tour. His last performance at the Los Angeles Staples Center was at the 56th Grammy Awards on Jan 26th, 2014 where he performed “Cop Car”. Britney Spears has played the Los Angeles Staples Center ten times since her first performance on February 23rd 2000 during the 42nd Grammy Awards where Britney Spears sang “From the Bottom of my Broken Heart and Baby one more time. In 2001 on November 21st then again in 2002 on June 4th and 6th Britney Spears made the Staples Center her stop during her “Dream within a Dream concert tour. On December 5th, 2003 Britney Spears played three songs at the KIIS FM Jingle Ball concert performing Toxic, Breathe on Me and Me against the World. There has been 9 Katy Perry Staples Center appearances dating back to 2011 when she played the 53rd Grammy Awards as well as making two stops of her worldwide California Dreams concert tour. During her California Dream tour her setlist included Teenage Dream, Hummingbird Heartbeat, Waking Up in Vegas, Ur So Gay, Peacock, I Kissed a Girl, Circle the Drain, E.T., Who Am I Living For?, Pearl, Not Like the Movies and The One That Got Away. In 2012 Katy Perry played “Hey Jude” during the February 10th 2012 MusiCares Person of the Year show at the Staples Center as well as signing E.T. and Part of Me at the 54 Grammy Awards at the Los Angeles Staples Center. Katy Perry returned to the LA Staples Center again in 2014 to play the 56 Grammy Awards singing “Dark Horse” on January 16th. Katy Perry hit the Staples Center later on that year for two sold out concerts on September 19th and 20th during her The Prismatic World Tour. Katy Perry last returned to the Staples Center for the February 8th, 2015 57th Grammy Awards singing By the Grace of God. One of the biggest events during her career was Katy Perry Super Bowl Halftime concert. 5 Seconds of Summer has played the Los Angeles Staples Center a total of five times with four of those being in 2013. 5 Seconds of Summer played four nights at the Los Angeles Staples Center during their Take Me Home Tour on August 7th, 8th, 9th and 10th 2013. There have been seven Pink Staples Center appearances with once in 2009, 2010 and 2011. Pink performed three times at the Staples Center in 2013 during her The Truth About Love Tour on February 16th, October 12th & 13th in 2013. In 2014 Pink played the 56th Grammy Awards at the Staples Center doing “Try” and “Just give me a reason”. If you are looking for tickets to any Los Angeles Staples Center Concert, Staples Center Sporting Event or Staples Center theatrical event Barry’s Tickets offers all Concert, Sports, and Theater events at Staples Center. Barry’s Tickets has been selling tickets to all Staples Center events since 1999 the day it opened and is located Caddy-Corner from the Staples Center itself. Barry’s Tickets physically stocks the largest assortment of secondary market Staples Center Event Tickets anywhere and offers tickets to match all budgets. If you would like more information on the Staples Center Seating Chart for concert, sports or theater events or even more information on the Staples Center Address or Parking at the Staples Center please feel free to click the links or call our office and a Barry’s Tickets Team Member will be happy to help you. Barry’s Tickets is also happy to help you with any information you might need on any events on the Staples Center schedule. You can get more information on Barry’s Tickets Los Angeles Office including directions and hours. Barry’s Tickets is an Official Partner of the Los Angeles Clippers, AM570 and is the Official Ticket Broker to the City of Los Angeles Employees.